Val Thorens is the highest resort in Europe (2,300 metres). At the top of the 3 Vallées, it opens out onto the largest ski area in the world, with 600 kilometres of equipped slopes, 320 signposted runs, and some 174 ski lifts. There are clear benefits to being at such a high altitude: Val Thorens is quite rightly renowned for the incomparable quality of its snow, which is guaranteed between November and May. Its site, boasting remarkable sunshine and snow cover, is surrounded by 6 glaciers and 6 equipped mountain peaks at altitudes of more than 3,000 metres. Enjoy unique panoramic views over more than 1,000 peaks in the French, Swiss and Italian Alps from La Cime Caron (3,200 metres); a vast, diverse, naturally international vision. Between powder snow fields and perfectly groomed slopes, the huge Val Thorens ski area offers every kind of snowsports to every kind of person, with something for every taste, ability level and even mood (relaxed, sporty, musical, festive…): Alpine skiing, cross-country skiing, snowboarding, telemark skiing, snowshoeing and best of all, the longest toboggan run in France: 6 kilometres for 45 minutes of pure descent! Val Thorens promises ease for fans of “mind-blowing skiing”, a laid-back approach for beginners, and enjoyment for everyone, whatever your skiing ability level. Easy access to the slopes from hotels and residences makes Val Thorens more qualified for the “doorstep skiing” label than anywhere else. Val Thoren’s pioneer spirit is evidenced by its ski lifts, which, like the resort, are at the peak of innovation. Comfortable, modern equipment guarantees fast, completely safe journeys. Waiting time is kept to a minimum, even at peak times and during difficult weather conditions. Safety and speed make all the difference for ski lovers. Val Thorens is home to another vast area, that of its entertainment and leisure activities. The best and most varied cosmopolitan, multicultural, and welcoming atmospheres are provided by experts in extending guests a warm welcome. Laid-back, lively, and vibrant, discover everything you’d expect from a town with all the atmosphere of a village: sports centre, shopping, 40 bars and 60 restaurants, the largest nightclub in the Alps, as well as live concerts every week. Ice-driving, tobogganing and snow mountain biking complete this melting pot of activities for visitors from all over the world. Val Thorens can guarantee snow from November to May!  With Abrineige, you can rent from Sunday to Sunday. Get easier roads and ski Saturday on less busy ski slopes.